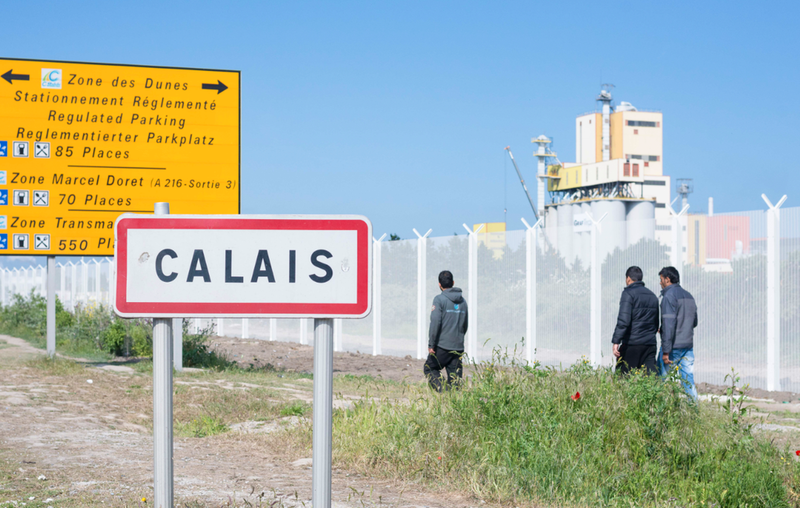 More bumper results for cross-Channel operators despite – and because of – strikes and migrants in Calais. There are also potentially more strikes for them to look forward to. Also, police seatbelt checks across Europe this week. Food trucks stopped heading into Italy. New tunnel for closed Grenoble-Briancon road. Good news for commuters during the next tractor protest, in Belgium anyway. Brittany Ferries, Eurotunnel and P&O all see record results this summer. Who would have thought a long summer of strikes in Calais, and disruption from migrants, would be so good for business? Many of the operators reported decent results last month but it seems the good times have continued right through the summer. Perhaps unsurprisingly, Brittany Ferries – which doesn’t sail between Dover and Calais – had it busiest summer ever. Passenger numbers were up eight percent over last year to more than half a million. It says its main base in Portsmouth – from where it sails to western France, and Spain – is now seen as the most accessible alternative to Dover. Meanwhile, despite an AA survey in late August which said more than 50% of those planning to go to France via Calais had changed plans due to the migrant crisis, Eurotunnel and P&O both saw bumper numbers of passengers too. Interestingly however, neither put figures to their recent freight business. The Channel Tunnel operator said it topped last year’s record by carrying 658,000 passenger vehicles in July and August. It also had its best ever single day on Saturday 15 August with 17,000 vehicles, and its busiest weekend in 21 years on 29-31 August when 1000 vehicles per hour used the Le Shuttle service. Similarly, P&O transported 1.117m people between Dover and Calais in August on its 58 sailings per day. That’s up 2.5% on last year and the highest monthly figure since 2003, it says. In light of all this, the operators must be keeping everything crossed the strikers make good on the threats they made earlier this week. Union boss Eric Vercoutre told the BBC that if the workers do not receive the redundancy packages as promised on 1 October (Thursday) they will blockade the port again. roundup: ITALY. Farmers have stopped trucks on the A22 Brennero autostrada south of the Austrian border. Rolling road blocks were set up overnight according to Trasporto Europa with farmers looking particularly for milk tankers and vehicles carrying refrigerated meat. Farmers are concerned that imported ingredients are being re-labelled ‘Made in Italy’. However, there have been no significant delays so far today on the a22 southbound. FRANCE. A new tunnel will be dug at Lake Chambon to replace the one damaged by a landslide in April and which has closed the Grenoble-Briancon road at that point ever since. The new tunnel is expected to open to traffic in late 2016 and cost up to €25m says AutorouteInfo. Meanwhile, work continues on a new bypass road around the lake, due to open in late October. In the meantime, the detours are all long-winded and/or expensive: on the N85/N84 via Gap, the A43 via the Frejus Tunnel, or a succession of the Alps’ highest mountain roads. See more. BELGIUM. Protesting farmers from around the Continent who clogged roads into Brussels from Sunday night – and rioted in the city centre on Monday afternoon – will be prosecuted for driving on the motorways. Police had agreed beforehand that tractors would be escorted on main roads but they took to the motorways instead, especially east of the capital. They will now all be issued with fines reports Deredactie.de. Exactly as in Paris last Thursday, the demonstration came to a premature end after the authorities, the European Commission in this case, rushed out an emergency aid package, totalling €500m on this occasion.